Ariel Sharon, who died on Saturday, had been known as a brilliant tactician and lousy strategist. But when he took office as Israel’s Prime Minister, in February 2001, he had a clear strategic vision for the country, which he pursued doggedly and successfully. Sharon’s vision consisted of two elements, both having to do with dismantling the legacy of the Labor party that had returned to power for a few years in the 1990s: reversing the results of the Oslo Accords and reasserting Israel’s control over the occupied Palestinian territories, and reshaping the Israeli economy according to an extreme neo-liberal model. In class terms, each of these two elements corresponded to the wishes of one of the two main Jewish social classes and contradicted the interests of the other. The Jewish bourgeoisie, which had supported the Oslo process throughout, sought the elimination of even the elementary social safety net that had survived 15 years of welfare state attrition; the Jewish working class, disillusioned by economic liberalization, transferred its anger and frustration onto the Palestinians and the Oslo process. What had united these two classes since September 2000 was fear of the Palestinians and belief in the myth that “there is no partner” for peace, a myth that was spun after the Camp David summit of July 2000 by the quartet of Prime Minister Ehud Barak, his Minister of Foreign Affairs and Public Security Shlomo Ben-Ami, President Bill Clinton and his Middle East envoy Dennis Ross. The persuasive power of the “no partner” argument was reinforced by the outbreak of the second intifada, which was ignited by Sharon’s visit to the Temple Mount/Haram al Sharif on September 28 and especially by the suicide bombings used by the Palestinians as a tactic during the uprising. With these developments, and with the main economic benefit of Oslo – the lifting of the Arab boycott—firmly in hand, the Israeli bourgeoisie changed its preference from achieving security through peace to achieving security at all costs. Sharon’s promise to defeat the Palestinians’ campaign of suicide bombings (which began in March 2001, after he had taken office) sounded credible because of his past record as an outstanding military field commander. In late March 2002, after a particularly deadly terror attack in a hotel during a Passover seder, Sharon launched a military operation to reoccupy areas of the West Bank Israel had evacuated during the Oslo years and to destroy the Palestinian National Authority (PNA) as a political entity capable of independent action. Yasser Arafat’s confinement to his offices in Ramallah, from then until his death from a mysterious illness two and a half years later, was the symbolic manifestation of the impotence of the PNA. In economic terms, the Jewish upper class was paid off handsomely for its support of Sharon’s war against the Palestinians. In 2001 and 2002, Sharon’s first two years in office, the Israeli economy experienced negative growth due to the intifada and the global high-tech crisis. But when the economy recovered, in 2004-2005, the share of the top ten percent of earners in economic income rose to almost 35 percent, up from 30 percent in 1998. The other side of the coin was unprecedented levels of poverty and inequality created by Sharon’s economic policy (mistakenly attributed to Benjamin Netanyahu, who was finance minister only during Sharon’s second term in office), and especially his dismantling of the social safety net. Thus the Gini coefficient, measuring the inequality of income distribution, rose, for disposable income, by 4.3 percent between 2002 and 2004-2005 and by 6.8 percent between 1999 and 2004-2005.
treatment of the Palestinians, there was little Shas could do to fight his ruinous economic policies. On the other side of the class divide, in the general elections of 2003, the second intifada having been defeated, Israeli big capital rallied behind Labor’s peace-oriented candidate, Amram Mitzna, in spite of Sharon’s catering to their economic interests. Though Mitzna lost the elections, the lesson of how he built support among the high bourgeoisie was not wasted on Sharon, who realized that he must placate that class politically, as well as economically. He therefore adopted as his own two political-military measures first proposed by the Labor party which, previously, he had fiercely opposed: Mitzna’s election promise of a unilateral withdrawal from Gaza and Labor’s plan to build a separation wall in the West Bank. (Whether or not Labor would have built the wall as deeply inside the West Bank as Sharon did is an open question.) These two steps charted the outlines of the policy Sharon would have pursued vis-à-vis the Palestinians were he awake to contest the 2006 elections: unilateral removal of the small settlements and permanent military bases from roughly the half of the West Bank that lies between the wall on the west and the Jordan valley, liberally defined, on the east. 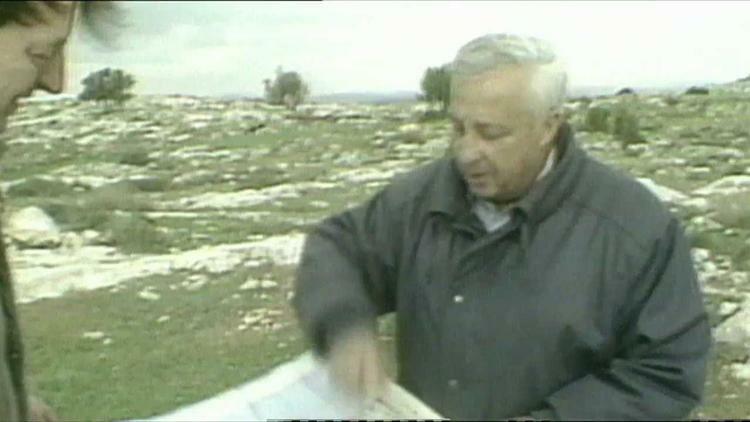 In this area, Sharon planned to keep only major “settlement blocs” that he intended to enclose behind the wall, one way or another. The unilateral withdrawal from Gaza earned Sharon the reputation of a peacemaker and brought his international standing (at least among politicians) to a point that had been inconceivable only a few years earlier. Needless to say, this reputation was totally misplaced, as Sharon’s policy was not intended to make peace or even resume negotiations with the Palestinians. It was intended simply to make Israel’s occupation of Palestinian lands more economical, in terms of Jewish blood and money, so that taxes could be cut even further and liberalization of the economy could proceed to even greater heights. The capstone of this policy was to be Hamas’s victory in the Palestinian elections, for that would lock in the notion, both in Israel and internationally, that Israel had no partner for peace. Thus, the oppression, expropriation and ghettoization of the Palestinians could continue with even greater impunity. In order to achieve this end, Sharon ignored and humiliated what remained of the Palestinian Authority and its president Mahmoud Abbas, refusing consistently to even meet with Abbas or let him take any credit for the Gaza withdrawal. After five years in office, Sharon had realized virtually all of his strategic aims: the second intifada was defeated, personal security for Israelis was restored, economic prosperity for the upper layers of society was shored up and his own popularity was at a level never before enjoyed by an Israeli prime minister. The price for these accomplishments is still being paid by the Palestinians, whose economic misery, according to World Bank reports, has reached an all-time low and whose national aspirations have been stymied. The price is also being paid by those Israelis whose livelihood depends on the state, whether through public sector employment or through welfare services. Yoav Peled is Professor in the Department of Political Science, Tel Aviv University. He is Co-Editor in Chief, The Public Sphere: Tel Aviv Journal of Political Science (in Hebrew) Just published: The Challenge of Ethnic Democracy: The State and Minority Groups in Israel, Poland and Northern Ireland (Routledge, 2014).